Welcome to the Amazon Gift Card Giveaway sponsored by Discount Queens! 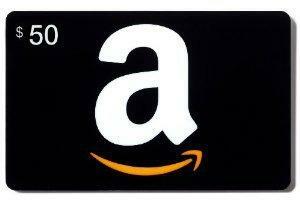 One lucky reader will win a $50 Amazon gift card - will it be you? Giveaway is open US only and ends January 28th at 11:59 PM EST. Discount Queens is responsible for prize fulfillment. Good luck and if you win from my blog, let me know! Grееtіngѕ! I've been reading your site for a long time now and finally got the courage to go ahead and give you a shout out from Porter Tx! Just wanted to tell you keep up the good work!